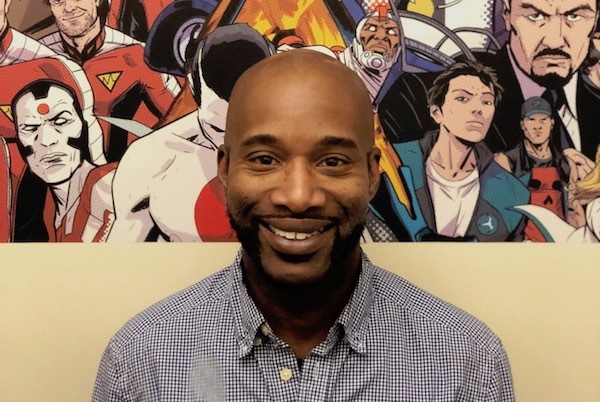 Valiant Entertainment is proud to announce that veteran editor, writer, and Eisner Award nominee Karl Bollers has been named to the position of Editor. In his new role, Bollers will assist Valiant Editor-in-Chief Warren Simons on an ongoing basis and contribute to Valiant’s critically acclaimed slate of monthly titles, including X-O MANOWAR, BLOODSHOT SALVATION, NINJA-K, QUANTUM AND WOODY!, and others, as well as the upcoming HARBINGER WARS 2 crossover event. Bollers’ hire marks the latest expansion to Valiant’s editorial team, which also includes Editor-in-Chief Warren Simons, Managing Editor Robert Meyers, and Editorial Assistants David Menchel and Benjamin Peterson.